Liv 52 is one of the very few mixtures that is a very well sought-after formula that is included in the regime of both athletic populations who are using drugs to boost their athleticism and in health enthusiasts looking to improve their well-being. Liv 52 tablets from Himalaya are a combination of different herbal ingredients which are used by the above populations to improve the health of their liver. The reason so many people look for this item is that it has both been proven to be very effective and it is not under nearly as much restriction from government or medical associations as many of its counterparts. It is also an extremely well-tolerated item, meaning there is next to no downsides to using it regularly, whether or not you are using other chemicals along with it. However, despite the lack of restrictions placed on the item by different regulatory bodies, it can be surprisingly difficult to buy Liv 52 and, in cases where it can be bought, it is usually quite expensive. Fortunately, this website offers Liv52 by Himalaya for a relatively low price and can be brought to you no matter where you are in the world, allowing you greater accessibility and a greater level of affordability when getting this item, regardless of your preferred use. As spoken of briefly above, Liv52 is used primarily to protect the health and functioning of the liver. The formula itself consists of four main herbal ingredients including Capparis Spinosa, Cichorium Intybus, Mandura Bhasma, Solanum Nigrum, Terminalia Arjun, Cassia Occidentalis, Achillea Millefolium and Tamarix Gallica. All of these act on the body and allows the exertion of Liv 52s function. Specifically, this entails the sparing of glutathione in the organ. This amino acid is a key player in both the immune system function for anti-inflammatory action and detoxifying actions. So, it's sparing is thought to allow a greater level of functioning by the organ in clearing toxins from the body and protecting cells in the organ from breakdown. This is backed by studies showing a faster clearing of alcohol and a protection of cells during certain diseases like cirrhosis. As might be expected, it also shows a higher white blood cell count during its action. This leads to a number of perks with its use, which are further discussed in detail in the below sections. From reading the mechanisms by which Liv 52 works, the perks associated with its use should be readily apparent. However, specific to those who use this format in conjunction with drugs to boost athletic prowess, there may be a few noteworthy benefits of Liv 52 that are worth mentioning. Firstly, the protective effect on the liver means there is a reduced chance of hepatic strain or damage with the use of other chemicals, which can be a large concern for the above population and is the primary reason why many individuals take Liv 52 tablets from Himalaya both before and after their use of these substances. But secondly, the use of Liv 52 may also help prevent a temporary drop in immune cell activity, which can be characteristic of steroid use during its initial period, depending on what items are used. So, this formula can also help prevent illness like colds or flu during this time. As stated, one of the main populations who use this formula are athletes who are combining its use with other chemicals to boost performance. Another well-used drug in this regard is Dianabol, or Dbol, which is relatively well regarded for its ability to rapidly accelerate the rate at which mass is accrued, particularly when combined with other chemicals. Depending on the purpose of your chemical usage, it may be advisable to include Liv 52 with Dbol or other similar oral substances that you’re using. This is because these chemicals have been structurally changed to include an additional methyl group at the 17th carbon position. The term for this is c17 alpha alkylation, which is done most commonly in oral solutions, but also occasionally in injectable mixes, to boost the agent’s power and effectiveness in the body. However, this also means that there may be an increased need for formulas like Liv 52 by Himalaya, as these chemicals can also cause quite a lot of hepatic strain. This strain, if it continues for a prolonged period of time, can lead to long-term damage to the organ. So, including formulas like Liv 52 tablets from Himalaya both during and after periods of use, can prove very beneficial to both your health and longevity. 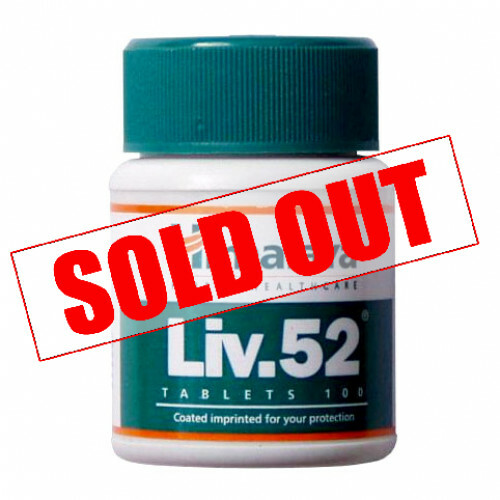 As was stated at the beginning of this article, despite the any perks, and remarkably few drawbacks associated with the use of Liv 52, it can nonetheless still be quite difficult to acquire through conventional vendors like pharmacies or health stores, and even more difficult again to obtain it for a low price due to the limited availability of the item. This naturally drives many people to buy Liv 52 online, where it can be readily acquired for a reasonable cost. So, sites like this one are a great source for people looking for this item. This site is also especially convenient for the athletes who are using it in tandem with other items, as a wide range of these chemicals can also be acquired here, allowing for an easier and more streamlined means of getting all the stuff you need to keep making progress, both effectively and safely, throughout the duration of your athletic career.